Hailing from Montreal, Quebec, Canada, Menace Ruine have gone from a more black metal based band to a drone/noise act with the last few records. Having created some incredibly beautiful music in the past, the duo signed to Profound Lore Records in 2012 and released their wonderful Alight In Ashes. I always felt, and still do that that record was one of the better drone records to come out in some time, and still gets quite a few spins two years later. 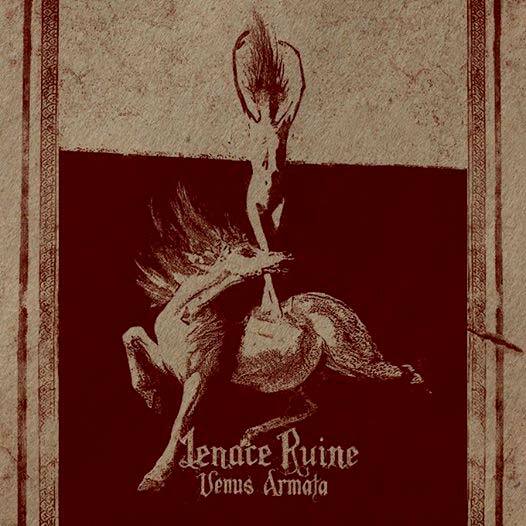 However, 2014 brings us to Menace Ruine’s second release via Profound Lore in the form of their new opus Venus Armata. Being such a fan of the prior album (and the albums before that for that matter) I had high hopes for this record, and was not let down at all. When the track “Red Sulphur” was released a couple of months or so prior to the albums official release, I was hooked. Wide-eyed I waited with anticipation for the album to be available in full, and wasted no time in listening to it once I could. In fact, I was so hooked that “Red Sulphur” is easy in the top two or three songs I’ve listened to most this year, and still cannot get enough. However, moving onto the actual album: it is everything Menace Ruine fans have come to love, with a more deep, and reflective nature added to it. The music on this record is still very ambient driven, and the band has forgone the use of drums over the last few records, focusing on their electronics and the waves of drone they create. The album itself has a darker feeling to it than its predecessor, and the feeling the record gives off is one of personal reflection. The lyrics further this idea, and it is clear the album is very personal to the members. Feeling of melancholy and longing abound, but also some lyrics indicate ideas of hope, and triumph over inner struggle. 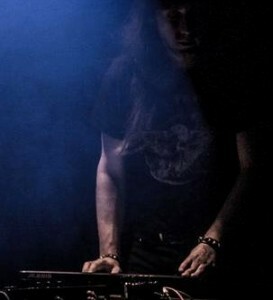 Drone is a type of music that can feel very oppressive and heavy, like Sunn O))) can be known to be. However, despite the deep feeling the band evokes, the music itself feels lighter. It does not pound you down and make you submit. You can see and hear the glimmers of hope and rays of sun shine within the course of this record. The flow of the record is fantastic as this style can be very repetitive and very dull at times with no actual movement in the songs. Menace Ruine manage to maintain structure in their music, and the songs do have quite a bit of repetition, but the Canadian duo know when to push forward in the track; changing up the sounds, or adding new ambience in the mix or adding new ideas to the song. Further, The album is not the same throughout; which can be something that is all too common with this kind of music. Each track manages to have a different feel, and releases different emotions and stories as it goes. The vocals are also incredibly done and very emotive. They add so much to the sound of the band, and are a real highlight as well. The vocals do show up more in this album versus the prior record(s), which is wonderful, as vocalist Genevieve has a very interesting voice. From my listening experiences, I cannot recall another vocalist like her, yet I am always hesitant to use the term “unique”. However, she has an incredible knack for knowing when to use her voice, and how to use it. 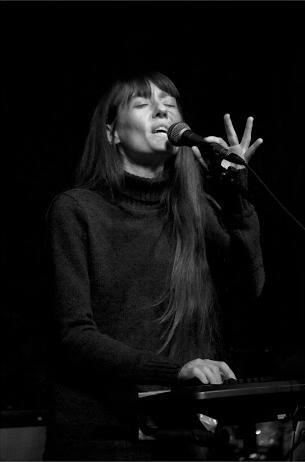 From her standard voice to some higher notes, the voice always accents the music, and really allows the songs to move forward in many ways. Venus Armata was one of my most highly anticipated albums form this year. The band grabbed me a few years ago, and never let me go. With each record, the band seems to be getting better, always adding more into their sound, and fleshing out their ideas more and more. This new album has quickly won me over as possibly the best in the bands discography and stands as one of the more deep, and hypnotic listens of the year. This entry was posted in Reviews and tagged 2014, ambient, Armata, avant-garde, drone, experimental, Godflesh, Jesu, Menace Ruine, Nadja, noise, profound lore, Sunn O))), Venus.